Eco Concepts USA is a green sea certified company that manufactures Eco-friendly cleaning solutions for a broad range of verticals ranging from domestic, industrial and marine cleaning requirements. It’s also certified by The U.S. Environmental Protection Agency’s Design for the Environment (DfE) program for its safer detergent stewardship initiative. The firm and its range of products are also certified by PETA and the carpet and rug institute. The company is located in Miami Florida and its products are available with major retailer apart from an online purchase through their website. Their products are free from caustic cleaning agents, abrasives and ozone depleting chemicals You get to choose from low toxic and readily bio-degradable products made from renewable resources .any minimal dyes used are FDA certified. 1) Carpet pre-spray:It safely removes all kinds of stains from carpet and upholstery. The CPS is safe to use on most carpets and fabrics, and will not affect most dyes and colors. 2) Carpet extractioncleaner: The cleaner is formulated to remove oil, grease, tough dirt stainsand soil from carpets. 4) Graffiti remover: The Graffiti Remover removes unwanted graffiti from a host of surfaces and renders the surface clean as before. It’s safe and environmental friendly. 5) Rest room tile and grout cleaner:This is safe and effective against a number of flooring surfaces. 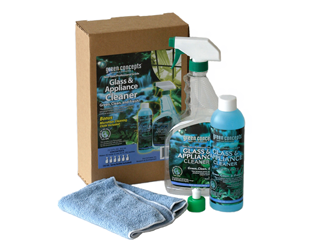 6) Glass and window cleaner: The Glass & Window Cleaner is vinegar based and doesn’t contain stinking ammonia based compounds. It helps you easily remove many tough stains, smears, soot, water spots etc from glass and mirrors and leaves your surface sparkling clean. 7) The High Performance Cleaner & Degreaser (HPCD) is a heavy duty surface cleaner that can wipe out the toughest of stains including tire marks, It can also be used along with mops and other cleaning equipment and is one of the most powerful surface cleaner in their range.